Join the cheese family! shifts per week). This isn’t your ordinary cheese or wine job — this position also includes wine and beer service, minor food prep, register service, and more. The work is varied and that's what makes it fun! The more you like to dig in and learn about fermentation, the better. Candidates must be available Friday, Saturday, and Sunday. Mission Cheese focuses on celebrating American artisan cheese in a format that merges retail cheese shop, café, wine/beer bar concepts. More specifically, Mission Cheese is focused on celebrating the artisan and farmstead cheese movement that has blossomed in the US in recent years. We source and serve only delicious domestic cheeses for our cheese flights, pressed sandwiches, mac and cheese, etc. A key component of the business is the education of our customers about the cheeses they are eating, as well as the farmers and cheesemakers that make Mission Cheese possible. We are passionate about good food and exceptional service. The work atmosphere is fast-paced, positive, and fun. The ability to hustle is required, as is the desire to be a part of an established team. We value employees that are excited about helping to develop and grow our young business, and want to learn about the American artisanal food and beverage industries. 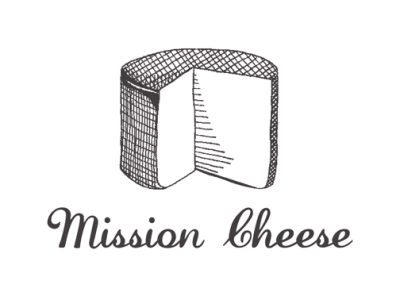 What makes Mission Cheese special? • Entrepreneurial, collaborative, and dynamic work environment - we're constantly evolving! At Mission Cheese, there are multiple workstations, and each employee has a chance to perform in each of them. We are not hiring for a particular position, but rather a member of our cheese team. • Demonstrates a sense of urgency and a commitment to providing excellent product and service to our guests.